A public private partnership (P3) is a popular term used to describe the delivery of public improvements by transferring risk and reward from government to private parties. P3s are gaining increasing popularity in California to privately finance public improvements by cash-strapped governments at arguably lower delivery costs than traditional design-bid-build methods. Today, P3s are being considered and utilized for all types of public improvements, including toll roads, high-speed rail, wastewater, airports, prisons, and courthouses. There are many names used to describe the various P3 contractual relationships, including design-build, design-build-operate, design-build-operate-finance-maintain, etc. Despite the name, P3s are not traditional partnerships in the sense that parties are co-owners and share in profits and losses. In fact, P3s may create significantly increased financial risk for governments, developers, lenders, and/or contractors, depending on the allocation of risk and ultimate success of the project. This article focuses on an emerging area of law relating to application of P3 to California mechanic’s lien, payment bond, and stop notice remedies. The article does not attempt to summarize the extensive body of constitutional and statutory law unique to California. Instead, the discussion focuses on the more fundamental question of determining whether the P3 project is a public or private work, or some combination of both. Importantly, answering the question correctly may determine what other laws come into play, i.e., the Public Contract Code. The Miller Act and Civil Code generally preclude mechanic’s liens against federal and state public works. However, P3 projects may involve a combination of private financing, private contracting, and private property interests upon which a mechanic’s lien might attach. Accordingly, it is necessary to evaluate the enabling legislation, financing, contracts, and property rights to determine whether there is a private property interest subject to a mechanic’s lien. South Bay Expressway v. Otay River Constructors involved a toll road demonstration project where Caltrans issued a franchise agreement to a private developer to construct the SR 125 toll road, and granted the developer a 35-year lease to collect tolls and operate the public road. In turn, the developer entered into private contracts with a general contractor to design and build the improvements. After the general contractor completed the project, it recorded mechanic’s liens on the toll road, which by their language, did not seek to lien public property. 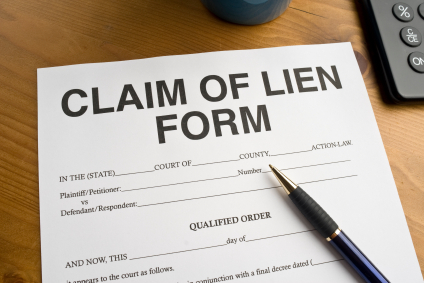 The general contractor then filed an action to foreclose the liens. Meanwhile, the developer filed bankruptcy and asserted the liens were invalid because they were placed on public property. The bankruptcy court found the mechanic’s liens could attach to the private leasehold and franchise interests of the developer. In doing so, the court examined the enabling legislation and found that the toll road would be constructed by a private entity, but owned by the state. After examining the Caltrans franchise and lease agreements, the court found that the developer held a “private interest” in public property in the form of a long-term possessory interest in the leasehold and a franchise right to collect tolls. In addition, Caltrans did not contract with the general contractor for construction of the improvement. Rather, Caltrans granted the developer a right to privately develop and finance the construction of the toll road. Hence, the court held that the toll road was a private work and the mechanic’s liens could attach to the developer’s distinct private property interests in the toll road, despite the fact that the toll road was owned in fee by Caltrans. The developer argued the toll road was part of the public highways, and therefore, public property to which liens could not attach under well-established law. However, the court rejected these arguments because the mechanic’s liens were never asserted against public property interests, only the developer’s private property interests. Moreover, the court noted that the developer had financed the toll road using a lien for its construction loan. In North Bay Construction v. City of Petaluma, a city leased public land to a developer for the purpose of constructing a sports complex. The developer contracted with a grading contractor to perform work on the project. When the contractor was not fully paid, it sought to recover against the city to enforce a mechanic’s lien against city land. The trial court sustained a demurrer by the city on grounds that a mechanic’s lien cannot be enforced against public property. The court of appeal affirmed based on well-established law. Whether the contractor could enforce a lien against the developer’s leasehold interest was not before the court. The contractor argued that a distinction should be made between property owned by the city that is used for government purposes as opposed to proprietary purposes. The city argued that although the property was to be developed by a private entity, the sports complex retained a general public purpose akin to a park or playground. However, the court found such distinctions are elusive and invite litigation over uncertainties in purpose. When considering whether a mechanic’s lien can attach to a private improvement where title to the improvement must be transferred to a government entity, careful review of the timing of the transfer of title must be given. For example, in Armstrong v. United States, the federal government exercised an option to require a shipbuilder to transfer title to uncompleted boats. In doing so, the Supreme Court held that materialmen’s liens on the boats, otherwise valid under state law, were extinguished by the transfer of title to the government under principles of sovereign immunity. However, relying on the Fifth Amendment proscription against taking private property for public use without just compensation, the Supreme Court also held that there had been a “taking” of the liens by the transfer for which compensation was due. Putting aside the timing of title, the question of priority of liens may also come into play relative to P3 financing. This is particularly true in California, where mechanic’s liens generally “relate back” to the time work first commenced on the project. In other words, a mechanic’s lien recorded after completion may have priority over an earlier construction deed of trust used to finance the project. Thus, careful attention must be given to timing and priority of the mechanic’s lien. Statutory rights and obligations under a payment bond or stop notice may also depend on whether the project is public or private. Moreover, the failure to obtain a payment bond on a public work may create a claim against the public entity for failure to fulfill a statutory duty. Best Western Paving v. Granite Construction also involved a toll road demonstration project wherein Caltrans granted a franchise to a private developer to fund, develop, lease and operate the SR 91 toll road. The developer contracted with a general contractor to construct the road, who in turn, subcontracted with a paving company. After the project became more expensive to perform, the subcontractor unsuccessfully sued on various theories. The prevailing party sought attorney fees based on a statute allowing fees to a party prevailing in an action on a public works payment bond. The court of appeal held the statute was not applicable because the claim was based on a bond for a private contract, not a public works contract. In so holding, the court reviewed the Caltrans’ enabling legislation, which recited that the toll road would at all times be owned by the state. Under Civil Code section 3100, a “public work” was defined as “any work of improvement contracted for by a public entity.” However, the court found the construction contracts were not entered into with Caltrans, but were between private parties. The prevailing party argued that attorney fees should be available for reasons of public policy, including the fact that the project was constructed on land owned by the state; that Caltrans provided oversight and applied its specifications; that the project was for public use and was part of the state highways; that the improvements revert to the state upon expiration of the leasehold; and, because no mechanic’s lien remedy was available for projects on public land. However, the court would not address distinctions over the purpose of public and private works which were “so carefully crafted by the Legislature” and to which the arguments were better addressed. In Progress Glass v. American Insurance, the private owner of a leasehold on land owned by the county contracted with a general contractor to construct a motel. When the general contractor failed to pay a subcontractor, the subcontractor sued on the project payment bond. The court found the bond was for a private work of improvement under the Civil Code because the county was not a party to the construction contract. By the process of elimination, the project was a private work. As can be gleaned from the discussion of the case law, the Legislature may not have had P3s in mind when establishing construction remedies. Nevertheless, greater attention will be focused on these issues in coming years given the growing popularity of P3s and the substantial resources committed to construct and renovate California public infrastructure. Importantly, the proper legal characterization of the work as being public or private, or hybrid of both, may have a significant impact in the outcome of available remedies. Like so many other things, however, the labels attached to the P3 may not control. Instead, careful attention should be given to these issues early in project planning because even minor disputes involving a financially- sizeable P3 could have disastrous financial impact to a project participant, depending on the allocation of risk. Finally, because construction remedies have both constitutional and statutory basis, and because statutes vary significantly between states, out-of-state P3 participants should be wary of general advice. Participants should seek legal advice from those who understand the law and risks unique to California.